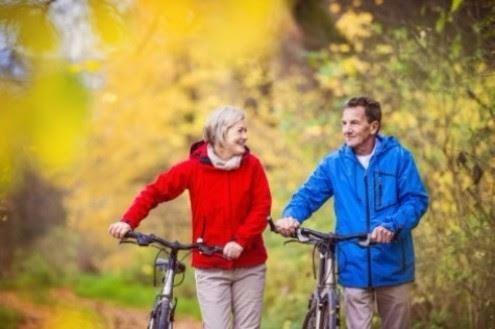 As the weather starts to cool down your aches and pains may increase.Here are some things that you can do to help relieve your symptoms during the cooler months. When you are out and about in the cold weather travelling, helping with the grandkids or running errands, make sure that you are wearing lots of layers to keep you warm! Keeping your muscles and ligaments warm reduces the risk of an injury. During the cooler months we may feel like indulging in a piece of hot chocolate cake or a melted grilled cheese sandwich, however this won’t help your body relieve the effects of the cold weather. Foods that are rich in carbohydrates create an imbalance of energy levels in our body. Choose a diet of foods that are high in protein and low in carbohydrates this includes soups, green leafy veggies and citrus fruits. This will help your body maintain its energy levels and is a fantastic source of energy and nutrition for your muscles and joints. Whilst you may not feel as thirsty during the winter months as you do the summer months, it is important to stay hydrated! Dehydration is one of the major causes of muscle cramps. Drink plenty of water, fresh fruit juice and teas, keeping your coffee intake to a minimum will also help. Staying hydrated ensures that your muscles are lubricated and helps the functioning of your joints. Winter is the perfect time to stay rugged up under the covers, however when it is cold and windy outside we need to stay active! Light to moderate aerobic exercise helps your joints remain limber and supple. Keeping your aches and pains at bay, if you don’t enjoy exercising outdoors in the cold temperatures Pilates is a fantastic way to stretch your muscles and keep your body active during the cooler months. If you have an issue that may need addressing you can make a booking with one of our Physios at any of our locations.